Eenie meenie, miney mo, which way will AUD/USD go? The pair is currently testing the .7625 levels, which isn’t surprising since it lines up with the 38.2% Fibonacci retracement from a strong upward momentum. What makes the setup interesting this time though, is that it’s also forming a mini descending triangle on the 1-hour chart. Not only that, but it’s also being supported by the 100 SMA. 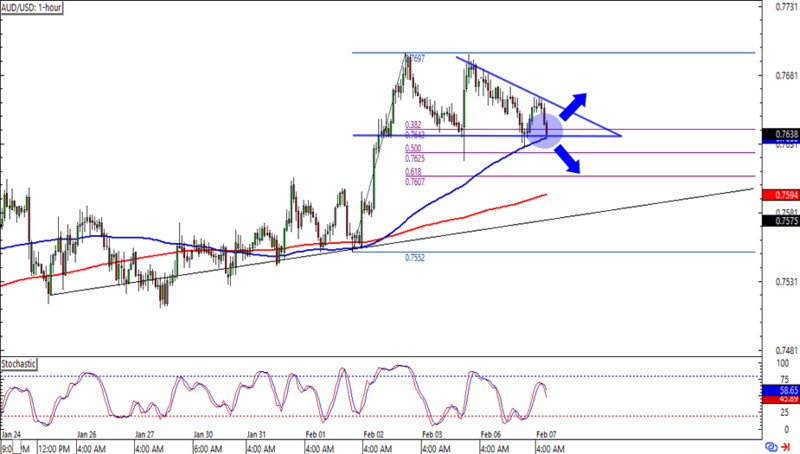 Will the Aussie continue its uptrend from its current levels? Or will it drop lower to retest the rising trend line before seeing bullish momentum? Watch this one closely, brothas! Here’s one for range playas out there! CAD/JPY is lollygagging at the 85.25 psychological handle, an area that has been serving as range support since early December. This time around, stochastic is also hitting the oversold territory. Before you buy the pair like there’s no tomorrow though, you should know that the 100 SMA has just crossed below the 200 SMA. This means that a downside break could easily lead to a short-term downtrend. 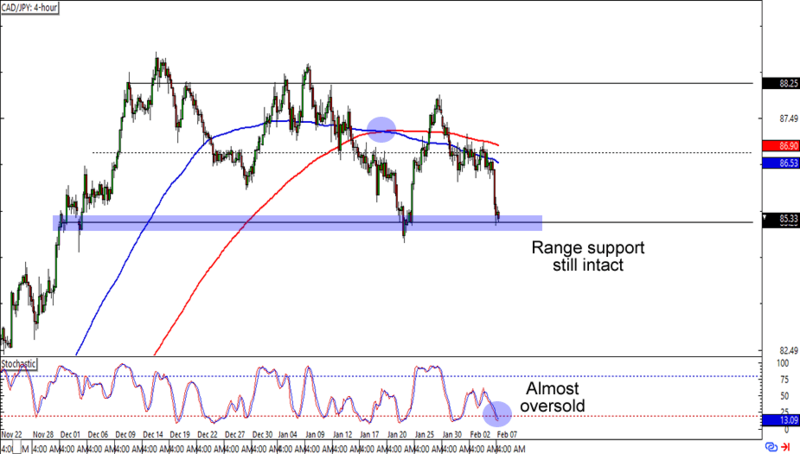 Buying at the range support is a good idea especially if you see enough momentum for an upside bounce. If you’re one of them Loonie bears though, then you could also trade a downside breakout. In any case, make sure you place wide stops on this one! Yen crosses like this can see volatility like nobody’s business, after all.